Fish fillets are so easy to cook. The mild flavor is pleasing to most everyone, and can be adapted to any style of cooking. Whether you broil, fry, grill, poach, microwave, or bake fish fillets, you'll find delicious recipes here that start with fish fillets and will be ready in minutes. Keep a few fillets in your freezer for busy weeknights. Just thaw the frozen fillets in cold water for about 10 minutes and you'll be ready to cook. Fish is naturally high in protein and B vitamins and low in fat. Fillets are usually sold frozen, but if you buy yours fresh, make sure to conduct the 'sniff test'. Fish should not smell 'fishy', but clean and slightly salty. The fillets should be smooth, moist, and translucent, and the flesh should be firm and evenly colored. Use fresh fish within a day or two of purchase, or freeze up to six months, making sure to wrap and mark well using freezer safe materials. Fish are categorized into 'freshwater' and 'saltwater' fish. Freshwater fish include trout, perch, walleye, and bass. Saltwater fish include cod, flounder, bluefish, and orange roughy. These recipes call for boneless and skinless fillets that are about 1/2 inch thick, each weighing about 6 ounces. 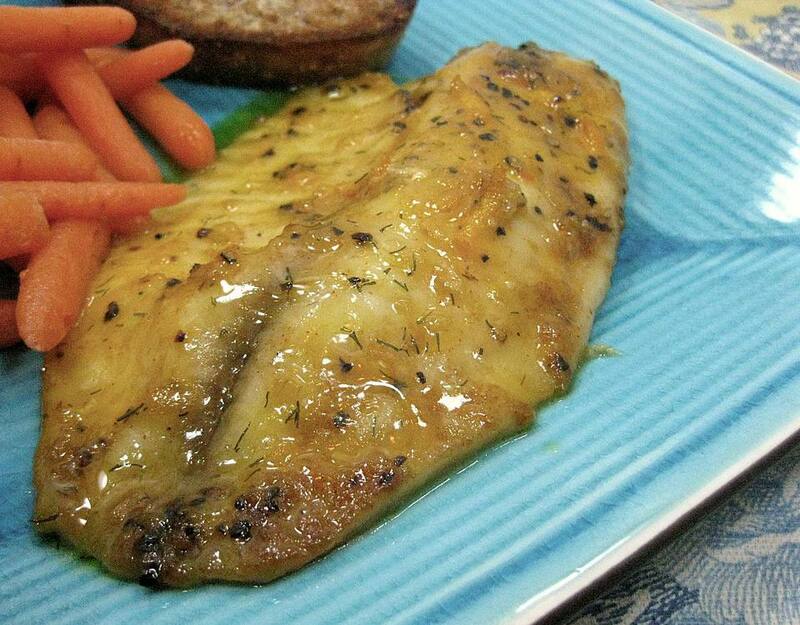 One serving of boneless, skinless fish fillets should be about 5 to 8 ounces. You can use any variety of mild, white fish fillets in these recipes. Don't overcook these delicate fish fillets. Fillets are cooked just until they flake; insert a fork into the flesh and twist gently. The flesh will come apart easily, but will still look moist and be just opaque. The general rule is to cook fish 10 minutes per inch of thickness. Remember to treat fillets as any other meat, following food safety instructions. This means wash your hands, utensils, and surfaces with warm soapy water after contact with the raw fish. You can substitute salmon or tuna fillets for the white fish in these recipes if you'd like. Remember to have fun in the kitchen and experiment with your favorite flavors as you cook. And enjoy these easy and delicious recipes.